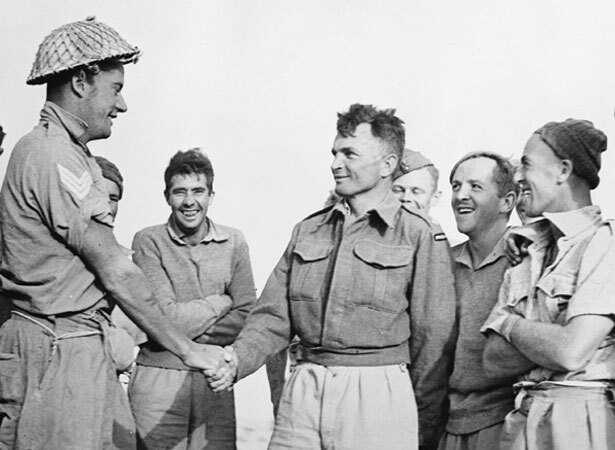 Later that year Upham would earn a Bar to his VC for his actions at Ruweisat Ridge, Egypt, in July 1942. Captured during this action, he had spent the intervening years as a prisoner of war. In 1944 an audacious solo effort to scale his camp’s barbed-wire fences in broad daylight saw Upham transferred to the infamous Colditz camp. The intensely private Upham did not enjoy the attention that came with the awards. When informed of his first VC he was genuinely upset, believing others more deserving. Only by seeing it as recognition of his unit was Upham able to accept the medal. Upham’s second VC was approved on 26 September 1945. He remains the only combat soldier to have twice been awarded the honour − the highest decoration for valour for which members of the New Zealand armed forces are eligible. 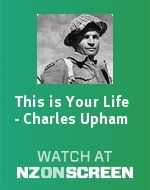 We have 13 biographies, 18 articles, related to Charles Upham presented with first Victoria Cross.